I didn't feel comfortable about flying the plane and operating the radio simultaneously. 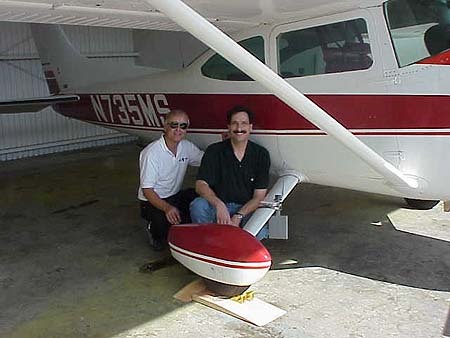 Bob Jones (left) provided his excellent piloting and navigational skills for the two-hour operation. Bob and I fly together each week for the $100 breakfast. We've become an excellent flying team after more than 25 years.